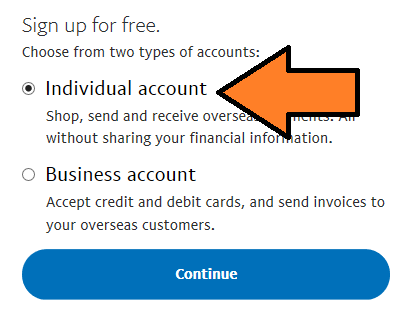 Aap ko PayPal account mein ye sab documents,accounts ko verify krna padega , jo aap k pas available hain un ko verify kr dein. 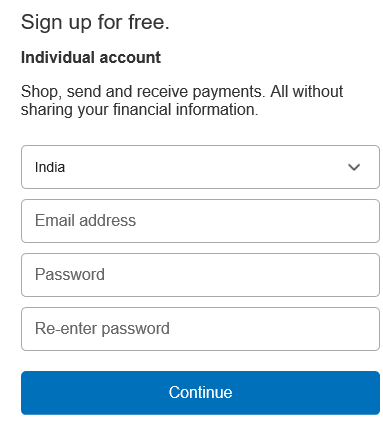 Sab se phle hum ko paypal.com pr jana hoga , hum agar koi bhi account banana chahte hain kisi bhi website pr to hame signup pr click kr na hota hai usi trah aap bhi signup pr click karein. Us k bad photo mein jo screenshot hai vo aap ko website pr najar aayega, ab hum ko INDIVIDUAL ACCOUNT pr click krna hai , agar aap business k liye account bna rhe hain to business account pr click kr ke continue pr click kr dein. By photo , upna first name dalein jaise ki mera RAJA hain, and last name thakur hai. Term and conditions pr tick kr k AGREE AND CREATE ACCOUNT pr click kr dein. Ab LINK YOUR DEBIT OR CREADIT card vala page open ho jayega. Agar aap k available hai debit or ATM card ya debit card to detail fill kr dein . Billing address phle se hi hoga nhi to edit pr click kr k dal de. agar card nhi hai to i will do later par click kr dein. 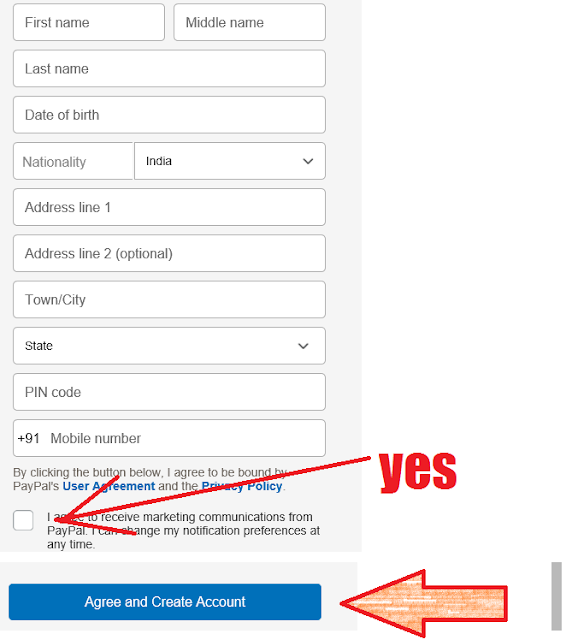 Ab aap upni mail open kr ke verify karein , debit ya credit card verify karein ,bank account verify karein ,mobile number verify karein aur haan PAN card ko verify jarur karein.